This list cancels all previous lists relating to parts described herein. Bradford Road, Idle, Bradford, Yorks. 1. 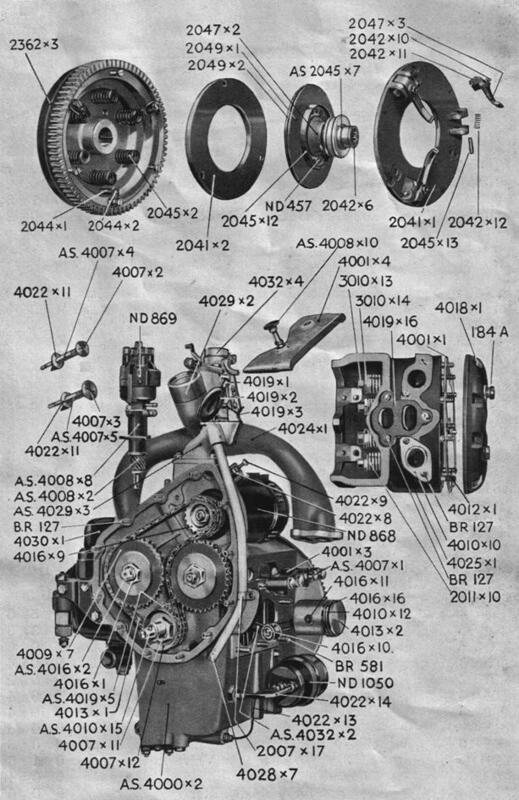 ALWAYS QUOTE ENGINE NUMBER, which is stamped on a metal plate attached to the timing case. 2. 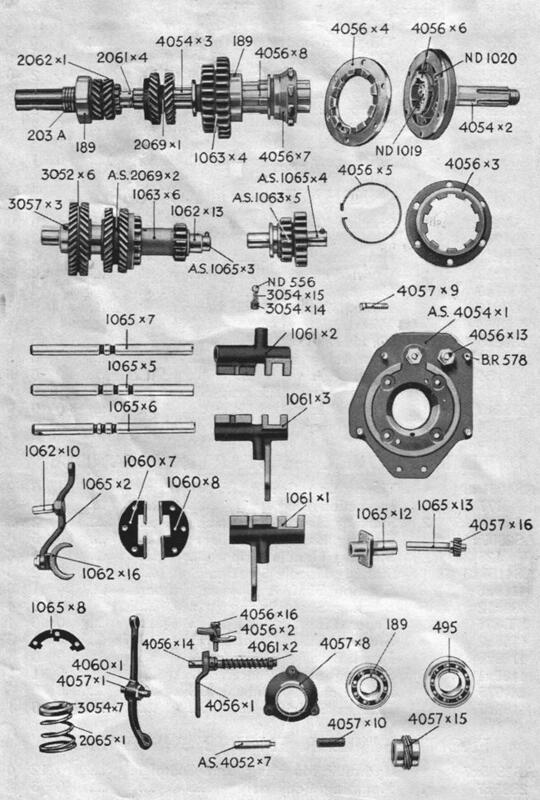 ALWAYS QUOTE PART OR ASSEMBLY NUMBER. 3. ALWAYS CONFIRM telephone or telegram orders by letter immediately. 4. 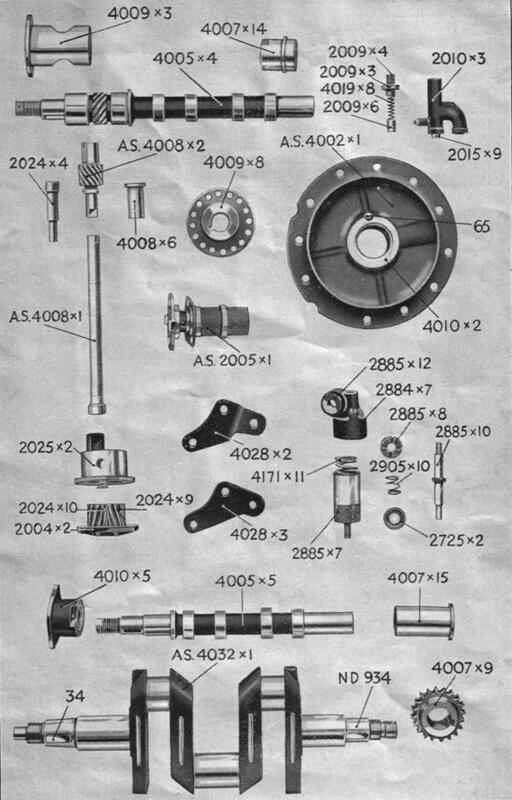 IN ALL CASES cash must be sent with order unless you have a deposit account with us, or the parts are desired by C.O.D. service. 5. PACKING CASES ARE CHARGED but credited in full upon their return in reasonable condition. This applies to bulky articles only. 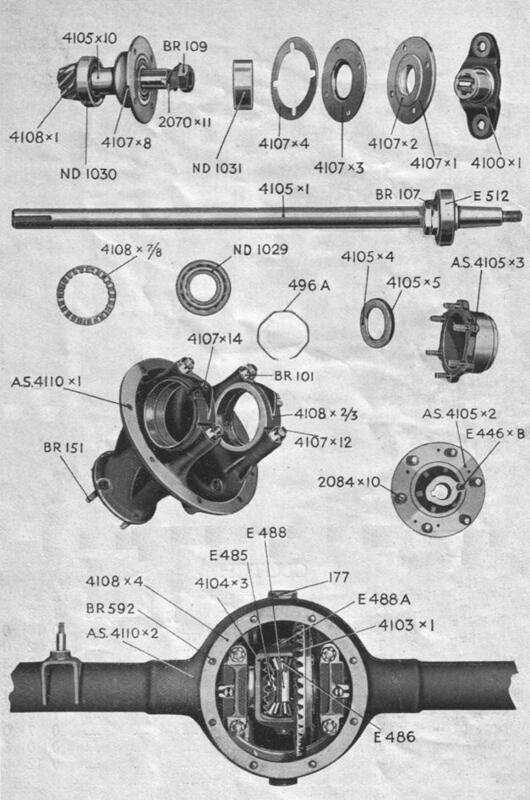 The letters ‘AS’ before a part number indicate that the complete fitting as distinct from a separate spare part; e.g. 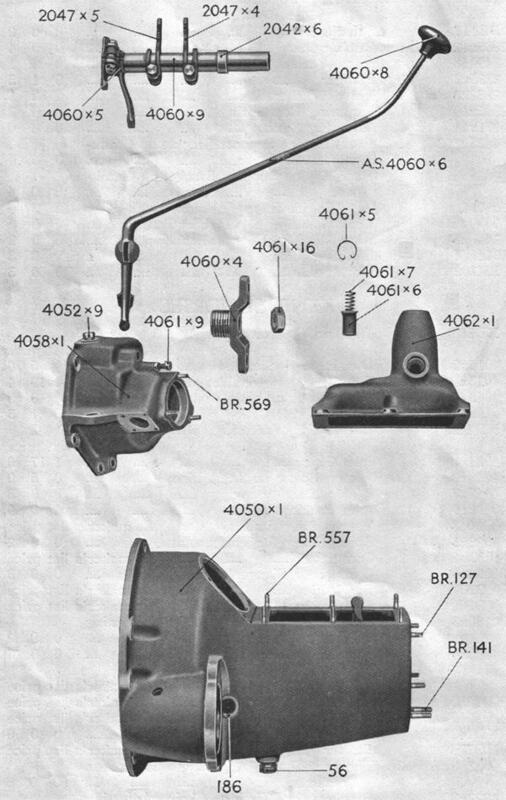 2010x3, Oil Release Valve Body only, is a single part compared with AS2010x3; Oil Release Valve complete with Plunger and Spring, the complete fitting. The prices Quoted in this list are based upon current costs, and are subject to alteration without notice. 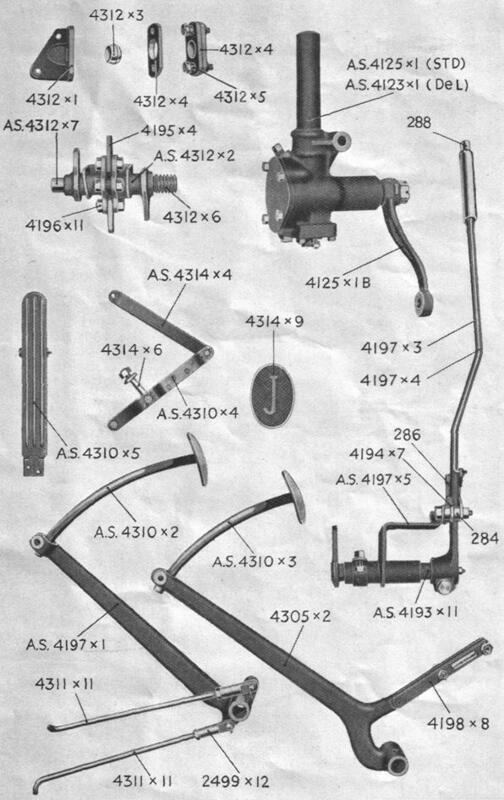 All prices are for one part or for one assembly, cancelling previous editions relating to such parts, February, 1937. REMEMBER! ALWAYS QUOTE ENGINE NUMBER AND PART NUMBER IN EVERY CASE. Figure 4. Gearbox and Top Cover. Figure 5. 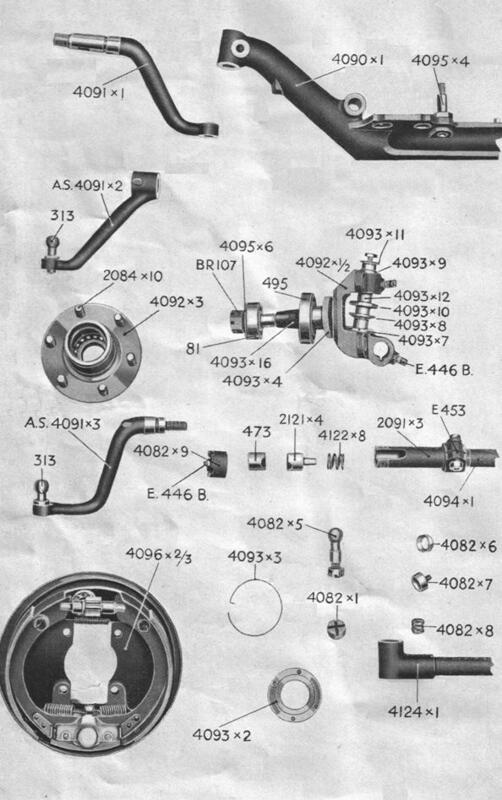 Steering Box and Brake Assembly.